Powerful disinfectant cleansing wash for the complete hoof. Keratex Hoof Wash is a unique and very economical disinfecting soak for the hooves and lower legs, which has been produced for those horses that would benefit from a cooling ten minute antibacterial soak. A one litre bottle will dilute in plain water to make 125 litres to provide lots of scrubs or soaks. Simply add a capful of Hoof Wash to half a bucket of clean water. 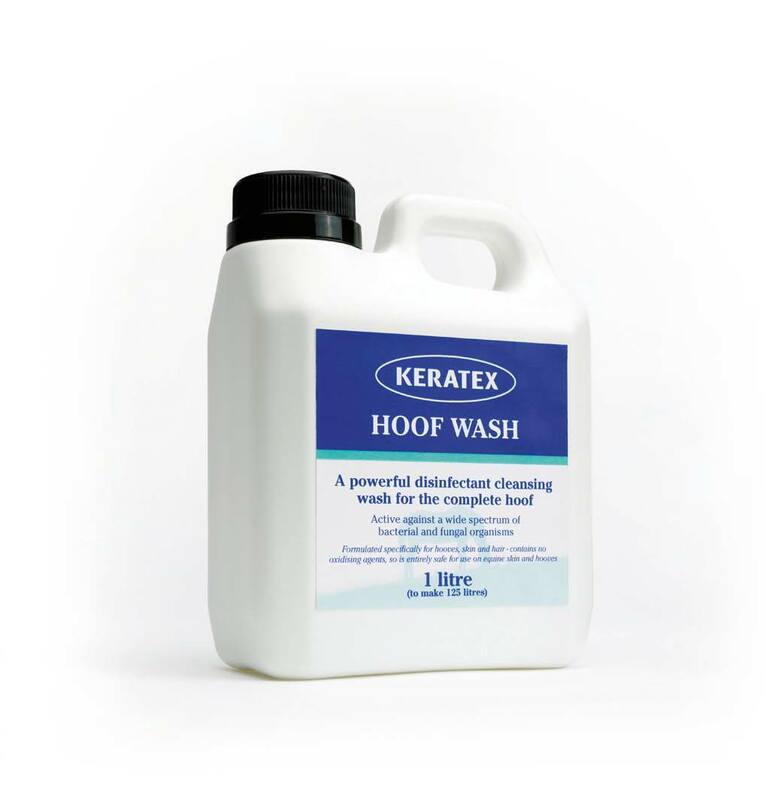 Keratex Hoof Wash is a good addition to every grooming kit to help keep the hooves and lower legs clean. User Notes - Hoof Wash concentrate sold in 1 litre plastic bottle. 1 litre makes 125 litres.